The new Nitecore EA45S is the latest die-cast flashlight from Nitecore, which is manufactured using a casting method of injecting molten aluminum under high pressure into a mould cavity, which involves no separate parts being welded or fastened together. The most incredible thing about the die-cast unibody construction is that it gives the EA45S the best heat sinking capabilities that you could imagine in a flashlight. The seamless structure ensures heat generated by the LED is delivered evenly and rapidly to the overall surface. Utilising the Cree XP-L HI V3 LED, which is optimised for range in combination with the precision optics reflector. 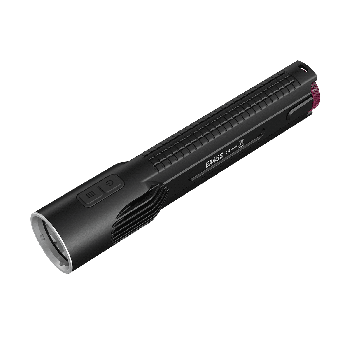 The EA45S has a maximum brightness of 1000 lumens and a throw of over 400 meters. Powered by four AA batteries, which are readily available anywhere in the world and cheap to buy. The EA45S is a great all rounder and can be used for everything from walking the dog to use as a long range search light.